It is commonly accepted that massage is a great stress reliever. It is a form of therapy that not only reduces tension in muscles, but also relaxes and soothes the mind and body, by releasing and instigating the natural flow of endorphins through the body. Massage also has a beneficial, and instant, affect on our wellbeing. Being able to afford regular trips to the therapy centre is a costly expense many of us are unable to afford. We may also not have willing partners who are eager to help us release the stress of the day with a daily back, neck and shoulder massage. Instead we either have to do it ourselves or miss out on the beneficial pleasure of massage. Why is Massage so Good for Us? Massage is a portable therapy, which eases away mental fatigue and melts physical tension. It provides a sensory release and can also energise and balance us. If we choose to use essential oils we double the benefit to our wellbeing. As with any form of massage therapy it is important to feel comfortable before you begin applying relaxing massage techniques. Ensure you are seated in a suitable chair, and that your feet are placed firmly on the floor. If you are seated at a desk, it is beneficial to your back to ensure your chair is positioned at the correct height. Also make sure that the temperature in the room is appropriate- not too hot or too cold. Before and after massage it is also important, and beneficial, to stand up and stretch to the ceiling. Applying simple self-massage strokes can easily melt away tension and help relieve eye strain and stiff hands. If you spend most of your working day sitting in front of a computer taking hourly 10 minute self-massage breaks will keep you feeling energised, and will also relieve the build-up of tension and strain. Five minutes spent massaging your face will have a beneficial effect, which will improve your productivity and efficiency throughout the rest of the day. Spending a few minutes gently massaging your hands will also feel wonderfully relaxing. 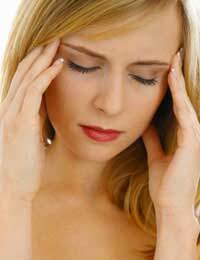 To relieve eye strain and relax the face firstly cup your hands over your eyes, and hold for a few seconds. This releases tautness in your facial muscles. Next apply a little pressure to the temples, and gently move your two middle fingers, of both hands, in small circular movements. Rubbing your fingers in a scissor-like action across your forehead will also combat the effects of frowning. Gently stroking across the palm of your hand, with the heel of the other hand, will ease tension. Glide the heel back and forth and then work along your fingers to your wrist. Gently stretch and pull on each finger, and slide and twist the grip. Turning your hand over apply circular thumb pressure to the base of the thumb, and over the entire palm. Move the pressure up your forearm and then stroke all the way up to your elbow.